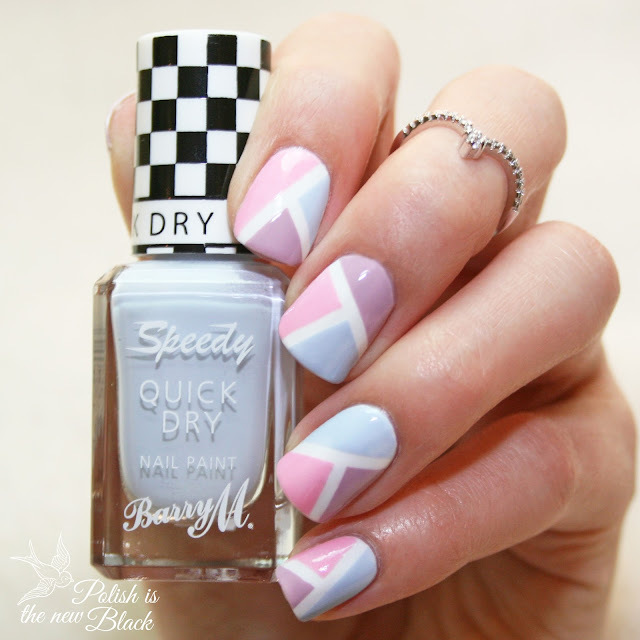 Sorry I was hoping to get this post up yesterday but I'm back with another design; a quick and easy colour block using the gorgeous Barry M Speedy Quick Dry polishes. Start off with a base coat and apply white polish. Let it dry fully! I used a quick dry top coat. Apply the vinyls across your nail as shown. 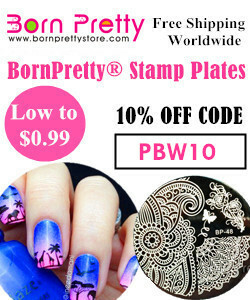 Apply pink and purple polish to the two bottom sections as shown. IMMEDIATELY peel off the vinyl in between these sections (this is very important in order to get a clean line). Apply blue polish to the top section. IMMEDIATELY peel off the remaining vinyl. 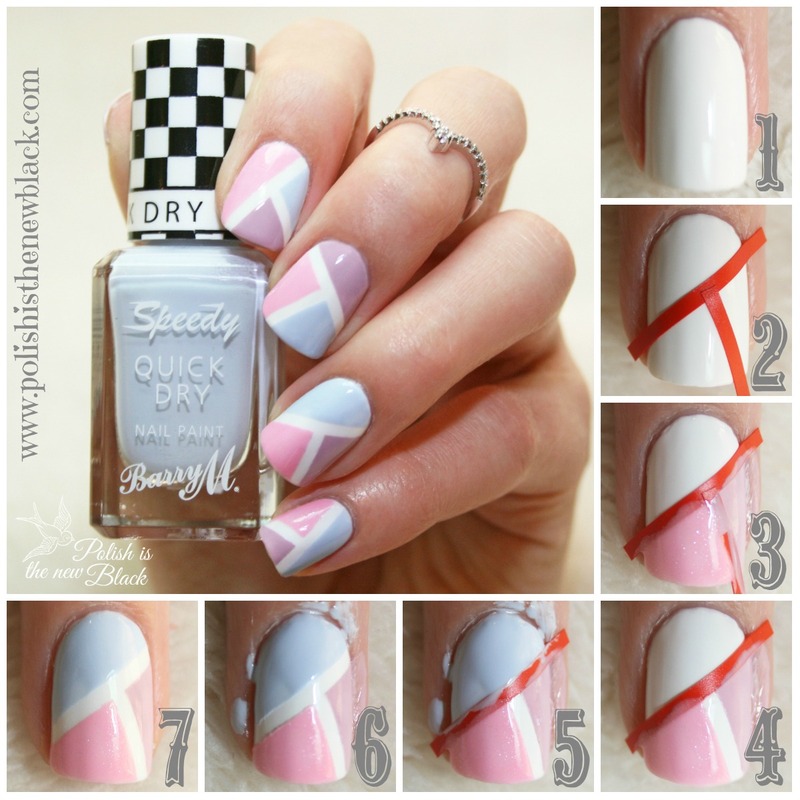 Clean up around your nail and apply top coat. All done! I'll see you soon with another design. 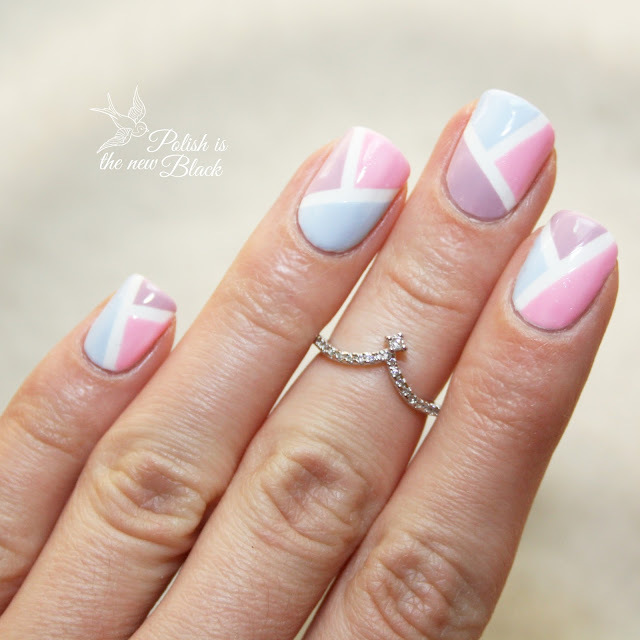 Love this colour block design, it's so cute and the colour choice is gorgeous.